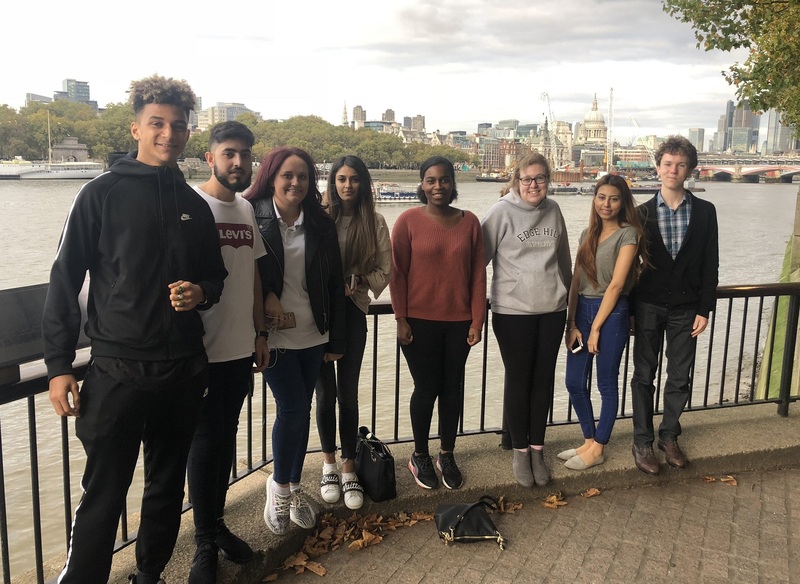 A group of students from Edge Hill University attended one of the UK’s largest graduate recruitment fair in London, thanks to the Student Opportunity Fund. Eight second and third year students boosted their employability skills by attending the GradJobs Live! careers fair, which enhanced their knowledge and understanding of the sheer variety of graduate employers, and how they can start to think about which sector they would like to work in. As well as visiting famous landmarks and seeing the cultural highlights on offer in the capital, students also met with former Edge Hill student Lydia Hobson who shared some tips about how to make the most of University and how to get a foot in the door of a chosen career. Lydia, who graduated from Edge Hill in 2017 with a degree in Information Technology for Business and a Masters in Information Security and IT Management, now works for IBM in South Bank, London as a Technology Consultant. She also talked to students about her journey to IBM and the graduate opportunities available. Third year student Charlotte Griffiths (25) from Wrexham, who is studying for a degree in Early Childhood Studies, found the experience invaluable. Second year Educational Psychology student Neelam Master (19), from Preston, applied for a place on the trip to pave the way for her future career. “I applied for a place on the trip to enable me to network with future employers and gain knowledge about the recruitment processes after university as well as developing confidence interacting with experts in the field. Kelly Rigg, an Employment Adviser from the University’s Careers Team, was responsible for organising the trip and accompanied the students to London. The students will now work with careers advisers and other members of the Careers Team, such as volunteering advisers and employment advisers, to begin working on an action plan, so that they can get from where they are now to where they want to be when they graduate.